Since being in Stockholm I have been to two of the local flea markets: the Sunday market at Hötorget, and the all-week around market, Loppmarknaden at Vårberg. The overall quality of the stalls at Hötorget was better, but the prices were much higher, and as a consequence, although I saw a number of items of interest, all were too expensive. At Loppmarknaden, which is an underground hall in the shopping complex attached to Vårberg station, some of the stalls were little more than just piles of household rubbish, and presented as such. The market charges an entry fee at weekends, but I went on a weekday. It's possible that it may be busier, and with more stalls at the weekend. There was a good deal of furniture and furnishings from the 1950s-60s-70s, which holds onto a use value for longer than items generally thought of as technology, where the turnover is more rapid: VHS players, portable CRT televisions, sterograms, many early digital cameras, game consoles and games, and whole boxes of remote controls and chargers. The flea market neatly brings together the flaneur and the objet trouvé. London is poor in this regard, perhaps due to knowing the price of everything. In the UK, the car boot sale is the nearest native equivalent, yet the car boot sale rarely produces the same feelings of felicity and serendipity. Possibly at one time, the wares for sale could have said something specific about the society in which they are found (but these flea markets are becoming more universalised across different countries, which in itself suggests homogenisation) - by what society can't quite bring itself to throw away and eke some last monetary value from. One feels that some of this junk simply circulates. As usual, I was interested in cameras, photographic equipment and related items. 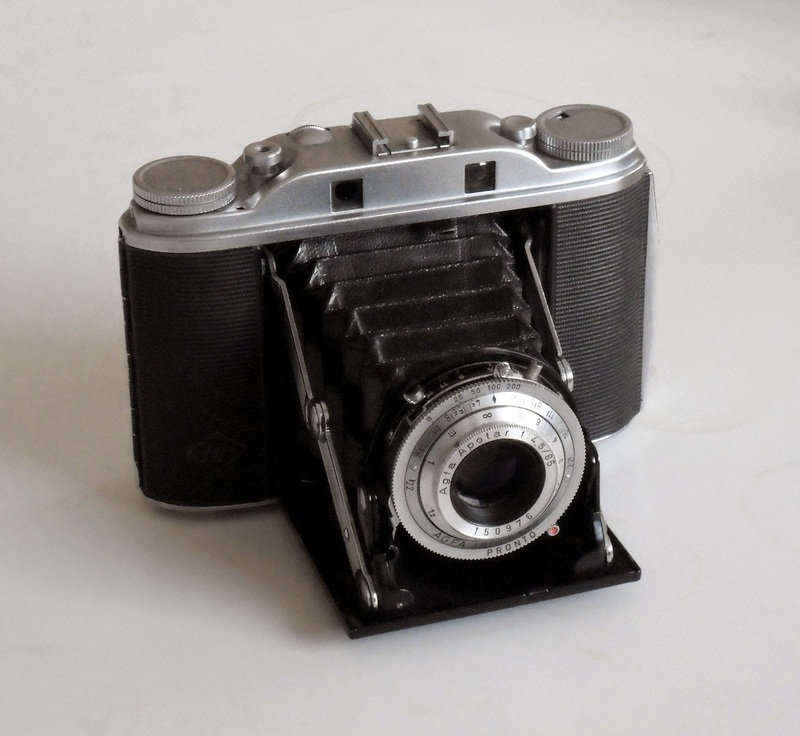 There were many digital cameras from about a decade ago, a number of older SLRs, but the only camera that caught my eye, was an Agfa Isolette III. This looked in good condition, although a bit dusty, and everything worked except for the uncoupled rangefinder, which was stuck, and I may be able to repair this, but what piqued my interest sufficiently to buy it was the half-used roll of film inside. The seller wanted (and got) 200 SEK, just over £15. 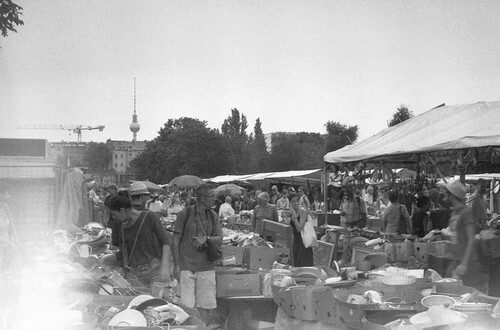 A few years ago I bought a Werra camera from the Mauerpark Flohmarkt in Berlin (the best flea market I have been to), which had a roll of half-used film inside. Despite opening the back and exposing the film, I was able to shoot the remaining film to get some images of the flea market on the camera I had just bought, and recover the undeveloped images, dormant for many years before the camera passed into my hands. Similarly, I finished the roll of film in the Isolette at Vårberg.